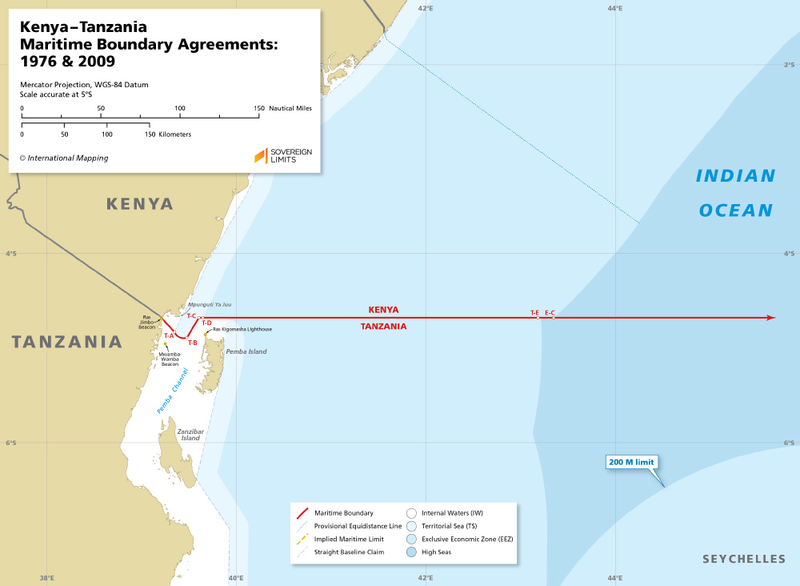 The maritime boundary between Kenya and Tanzania was established through two bilateral Agreements reached in 1976 and 2009. The boundary extends for 248 M and is comprised of segments constructed using a combination of delimitation methodologies, from equidistance and enclave segments nearshore, to a parallel of latitude that extends to the limit of their extended continental shelf claims. The territorial sea boundary was established in the 1976 exchange of notes, while the exclusive economic zone and continental shelf boundaries were established in their 2009 bilateral Agreement.